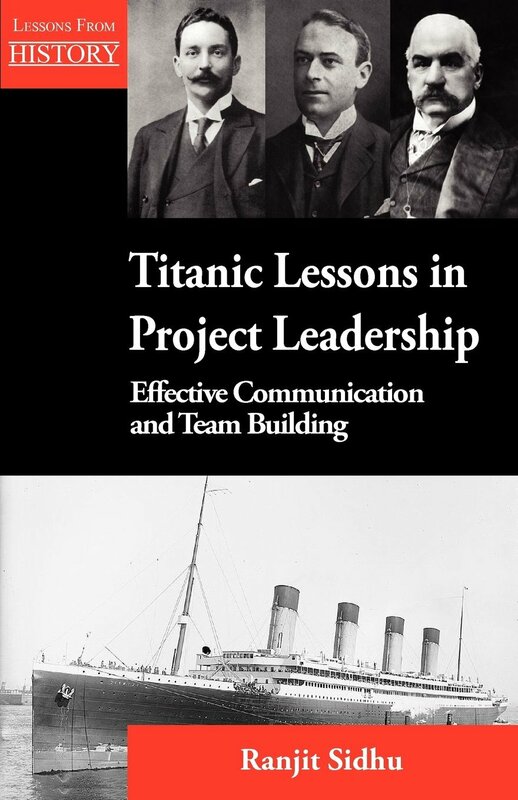 In Titanic Lessons in Project Leadership we see how ‘small’ and easily overlooked behavioural and communication issues can build into seemingly unthinkable errors. It is critical that project managers and leaders have the skills to deal effectively with people issues. You need to be just as comfortable managing conflict and motivating your team as you are with planning your work and conducting a risk analysis. When faced with challenging deadlines and the pressures that go with managing projects, it is easy just to focus on getting the task done. This is most likely at the expense of having those difficult conversations with upset stakeholders and disgruntled customers; the people who ultimately determine whether the project is a success or failure. 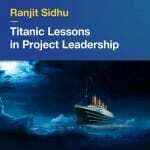 This book focuses on the people aspects of the Titanic story; the key stakeholders, power dynamics, underlyingperceptions, communication, leadership and team interactions. We draw on this tragic tale to focus on the ‘behind the scenes’ aspects of human communication and leadership to guide you in the right direction for making that vital difference to your current projects. Combining contemporary management theory with my own insights and experience, the book offers practical guidance to help you gain a deeper understanding of how leaders and teams can operate at their very best. 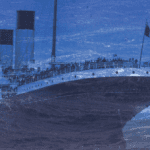 The story of the Titanic stirs our curiosity and emotions, and it is still amazing to think that what was then the largest ship in the world and believed to be unsinkable could face such a disastrous ending. So, how did it all go so wrong? What can be learned from this tragedy? This historic event offers us a rich tapestry of examples about people interactions, power dynamics, communication, leadership, and team working. On any project, however well you follow the process, there will be people problems to deal with, such as conflict among the team and difficult or overbearing stakeholders. In today’s fast changing environment, stress is commonplace and emotions can run high. For project managers and leaders, the skills to deal effectively with behavioral issues are more critical than ever before. You need to be just as comfortable managing conflict and motivating your team as you are with planning your work and conducting a risk analysis. Titanic has given us a valuable legacy. From its fate, we learn what can happen when we overlook the impact of powerful personalities, underlying perceptions, a lack of clear communication, and tensions among the teams. We will focus on the people aspects, looking at the key stakeholders, their drivers, and their impact on the outcome. 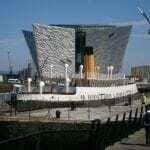 What were the leadership problems that ultimately led to the sinking of Titanic? This book is not intended to be a historical reference for all the facts and data about Titanic; there is much material published about this on the Internet and in other books. The aim is rather to explore the many people problems that contributed to this disaster, so we can identify useful lessons and reflect on how we can apply these ourselves. I wanted to write this book to focus on the key people problems that arise when dealing with projects. In my experience, when faced with challenging deadlines, it’s easy to be caught up with ensuring that tasks are completed and checklists are ticked. This will most likely be at the expense of having those difficult conversations with upset stakeholders and disgruntled customers, the people who ultimately determine whether the project is a success or failure. Typically, project management development focuses on understanding frameworks and methods to help organize work. Project managers need to plan and control, but it just isn’t enough. A project’s outcome depends on how the people in the project perform and interact. 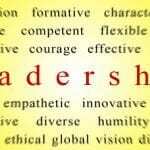 So, project managers also need leadership skills to get the best from those around them. Even if you were told, it probably did not register until you found yourself having to deal with the complexities people can bring to situations. There are many books and development courses on the technical aspects of project management, but they don’t cover how to deal with people. Plenty on general management and leadership cover the people aspects, but these are too generic and don’t relate well to the complexities of working in a project and program context. I found this along my development journey. For about ten years, I seemed to travel along parallel paths; one was in project management, and the other was what I began to think of as personal development, which covered leadership skills. I enjoyed being part of these two worlds, but I could not understand why they were separate. So, I had been thinking for quite awhile about how to bring these two worlds together and writing about this, but something was still missing. The nature of the subject seemed such that it might be easy to read and follow the words, but not necessarily “feel” it in our gut and “get it”. I had been wondering how best to address that. Last year, I was introduced to Mark Kozak-Holland and his Lessons from History series. The idea of learning from historic events by using them as case studies grabbed me, and I was particularly attracted to the Titanic story. On researching this further and learning what went on during the construction of Titanic and its maiden voyage, it was very apparent that the problems weren’t just technical errors, but very much “a people thing”. The missing piece was finally in place, and I could write the book. I hope you will enjoy reading it and that you get useful insights that will make a difference to the work you do. After a first read, you can dip in and out of different topics as needed to match your priorities. Although the book uses Titanic’shistory, it is important to keep focused on how this is relevant to us today. So, the end of each chapter includes points to consider for your projects. We can use the lessons from the past to warn and prepare us for the future, so we can become more effective project leaders. By developing your skills, you will gain more choice and flexibility in dealing with situations. The only way to learn how well each technique works for you is to try things — my invitation to you is to “give it a go”. Understanding the bigger picture gives us a better appreciation of who the different project stakeholders are, what really matters to them, and how best to manage them. This chapter looks at strategic drivers and considers the impact of all the different personalities involved. It includes a description of the Creativity Strategy Model, used at the Walt Disney Company, and modeled by Robert Dilts. With any project, many common mistakes that stem from mistaken assumptions are made in the early stages. This chapter asks why this might be and looks at issues surrounding team building, together with how our perceptions can get in the way of building a shared understanding. During any project, problems and obstacles will always arise. This is normal; but it is how they are managed and resolved that makes a difference to how successful a project is. This chapter considers the issues that occurred during the Titanic project, and introduces models of problem solving as well as considering the impact of biased thinking. The White Star publicity machine was in full action and interest mounted in what was possibly the largest project in the world. Many interviews were given to the media, and these were supported by a large-scale poster advertising campaign. Apparently, they took more than 150 photographs! A pattern of escalating success was building. This chapter covers communications, publicity and the band wagon effect. Circumstances change, and people change their minds about what they want, or how they would like it. Here we look at how change was managed and the sources of power and team dynamics at play, together with behavioural tendencies like conformity and confirmation bias. We consider perceptual blocks and see how they can influence how a project progresses. This was a huge team, pulled together just for the maiden voyage. There were about 900 team members on the voyage: 475 stewards, bellboys, maids, and housekeepers and 320 mechanics, firemen, stokers, trimmers, greasers, and coal porters—and 83 mariners trained and capable of sailing the vessel! This chapter considers the teams and hierarchies on board, describing models for team productivity, and the impact of interpersonal relationships. Tuckman’s stages of team development are described, together with balancing the needs of the task, the team, and individuals. Conflict occurs when there are disagreements or differences in goals, thoughts, or emotions among people and groups. This chapter explores potential barriers to communication, and what happens when we ‘move the goal posts’. It looks at techniques for resolving conflict, including Blake and Mouton’s acclaimed model. Thomas and Kilmann’s resolution methods are described together with an assessment of how more cooperative working styles can be established. 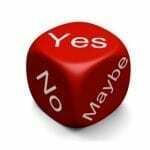 A person’s attitude to uncertainty affects how they respond to situations. It also affects whether they see things as risky and what they choose to do about it. This chapter looks at the factors that influence attitudes towards risks, and how risks can be mitigated or managed. It looks at the effects of framing, and reframing, and shows how this can change how a situation is managed. A leader’s role is to ensure a team has agreed how issues will be handled and how decisions will be made. This chapter looks at decision making processes and considers how quality decisions can best be made. In a crisis, time is a leader’s enemy. When a crisis looms, normal daily operating processes need to be suspended and quick decisions made to reassure everyone that he or she is in able hands. This chapter looks at what can be expected of leaders in a crisis, and the processes and behaviours that can make all the difference to the outcome. “I have been leading teams and managing projects and programmes since the mid-1990s. Given my experience, I say that what really makes the difference between a high performing team and a successful project is not taught on project management courses. And does not show up or is not adequately highlighted in almost every single project management book that I have read. “Having been involved in project, programmes and change for some years, certain lessons and learning become second nature. After some time, you take them for granted and can therefore forget the importance or more importantly, there impact on your own situations. The Titanic story is a relatively well known one and what this book does is put into context all those things that you take for granted and illustrates the consequences of doing so. I was surprised by how readable this book was. Typically, business books – and ones that focus on a speciality such as Project Management – can be a tad dry and hard going. Titanic Lessons is written without the overly business jargon or pretentious phrasing and therefore makes the content easily understandable. The book is very readable, it draws you through the story and is a satisfying read. The models used within are useful and pragmatic and the references used, show this is a very well researched and thought out book. How do we demonstrate good leadership?